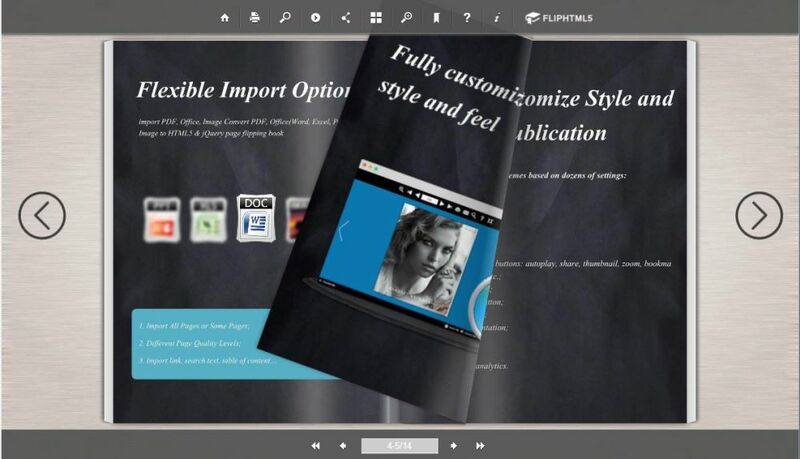 Convert PDF/images into an interactive page flip book! 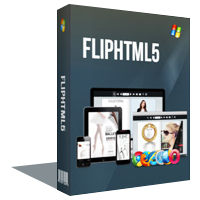 FlipHTML5 Platinum (Win&Mac) was available as a giveaway on April 16, 2017! 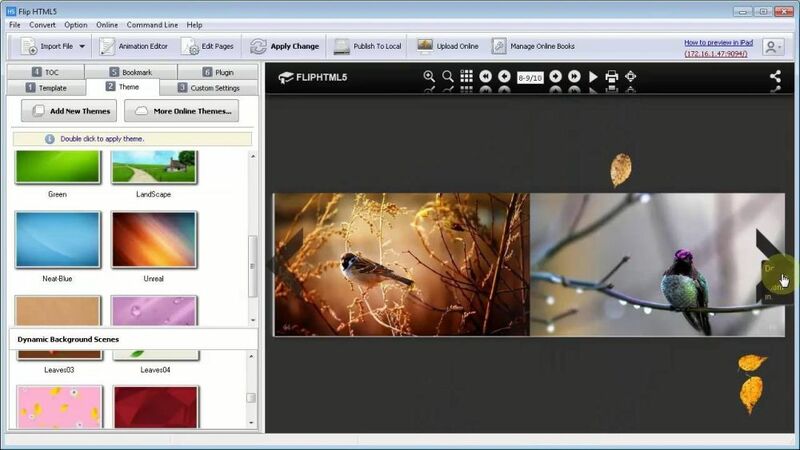 FlipHTML5 is the all-in- one HTML5 flipbook software that can help to convert PDF/images into an interactive page flip book with the online and offline distribution. 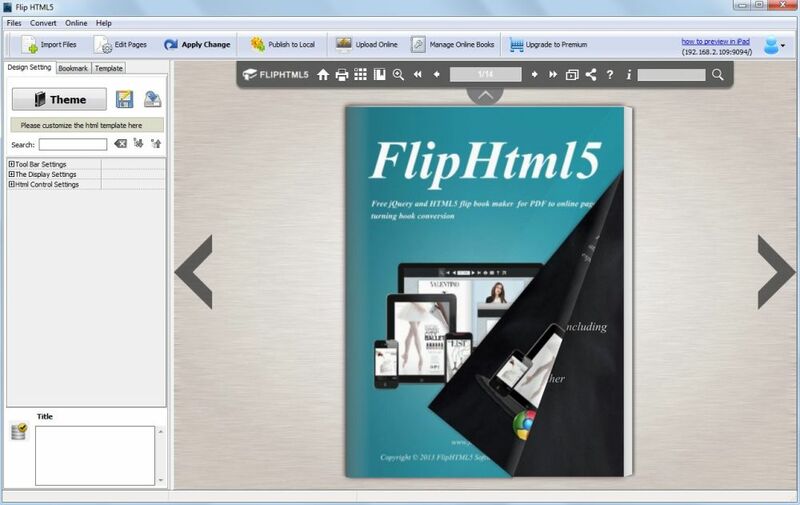 FlipHTML5 develops itself with the interactive HTML5 digital publishing platform for magazines, catalogs and more. You can fully customize the interactive content with rich media and pre-designed resources. 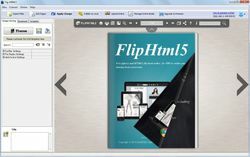 FlipHTML5 can help to publish the responsive flipbook which works on everywhere, PC/MAC/Ipad/Mobile. It even allows you to sell the publication online or share the publications via emails and social media. Please note: the offer includes 3 month Platinum plan! Program archive includes both Win and Mac versions! How would you improve FlipHTML5 Platinum (Win&Mac)? 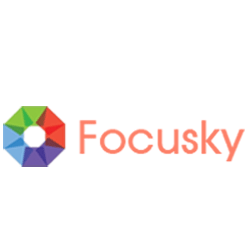 Focusky is the killer HTML5 business presentation maker that helps to create presentations and animated videos to impress the audiences. It is the best alternative for the PowerPoint which provides the zoom and pan effect, tons of online designing materials. Focusky provides a great number of templates varied from all walks of life for the users to fast create the stunning presentation. 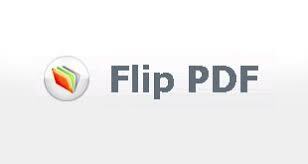 Flip PDF is a utility which converts Acrobat PDF files to page-flipping eBooks. All original content is retained intact for publishing. The eBook, your new digital publication, can be a digital magazine, a digital catalog or any other kind of digital book. Mobissue, the magazine maker for mobile, delivers an incredible HTML5 app experience to readers on all of the most popular tablet and mobile iOS, and Android devices. Mobissue makes it easy to publish the magazine content to your own mobile. Bring your content to life on phone and tablets with no coding and no hassles. I downloaded and installed the software. # about same options as a slide show maker I tried a while back then uninstalled due to multiple glithces. Could be the same developer. #Does not allow adding Adsense code (freezes for eternity). This was the same issue with that web photo gallery maker I mentioned earlier. Now I'm pretty sure it is the same developer. #Pricing is insane. I can do away with the flip transition and continue to use what Adobe suite has to offer. I'm not paying $1,000.00 to purchase or even $300 a year for a program that failed at the main features that would have made it stand out, had they worked. I wouldn't recommend before the developer rebuild the program and fix the glitches along the way. Downloaded, imstalled and ran. # about same options as a slide show maker I tried a while back then uninstalled due to multiple glithces. Could be the same developer. #it freezes after I have spend a bit of time adding and customizing. Vry frustrating! I have wasted a couple hours already #Does not allow adding Adsense code (freezes for eternity). This was the same issue with that web photo gallery maker I mentioned earlier. Now I'm pretty sure it is the same developer. #Pricing is insane. I can do away with the flip transition and continue to use what Adobe suite has to offer. I'm not paying $1,000.00 to purchase or even $300 a year for a program that failed at the main features that would have made it stand out, had they worked. I wouldn't recommend before the developer rebuild the program and fix the glitches along the way. Well good idea, but if we ask Mr Google about flip book transition for slide show he will show us how2 and fore free with software we already have. Donald Pullum, Sounds like a good idea, but you failed to provide any links; you also failed to mention that flip book transitioning, without additional software, only works with Adobe Acrobat. The read me file says: To activate your free copy visit the page below, fill in the form to receive the registration key by email. However there is no form or registration key in the link published. I downloaded and installed the software. The read me file says: To activate your free copy visit the page below, fill in the form to receive the registration key by email. However there is no form or registration key in the link published. Please advise. Moshe, I got confused too. Click the "Sign In" link at the top right of the page it links to. It then offers the chance to create an account. Kind of well hidden, but it's there! Moshe, I got confused too. Click the "Sign In" link at the top right of the page it links to. It then offers the chance to create an account. Kind of well hidden, but it's there! I too am quite confused; I did everything as directed and have an account, but nothing tells me the program has been activated; so I am presuming it is the free version and you simply need this account to use giving me 3 months free. GAOD usually pops up after installation and claims the account has been activated and "What's next?" Never saw this. Oh well, probably will uninstall this later. Never had luck with these flip books anyway but I thought I would give it a try. Noah Body, I too am quite confused; I did everything as directed and have an account, but nothing tells me the program has been activated; so I am presuming it is the free version and you simply need this account to use giving me 3 months free. GAOD usually pops up after installation and claims the account has been activated and "What's next?" Never saw this. Oh well, probably will uninstall this later. Never had luck with these flip books anyway but I thought I would give it a try. Noah Body, I was able to signup as a free user. It sends you the code via email and then tells you to enter the code, and it upgrades you to a 3-month Pro user. Noah Body, I was able to signup as a free user. To get the Pro abilities, it tells you in the readme file to get the code from the address: http://fliphtml5.com/special-offer/3-months-platinum-plan-giveaway-giveawayoftheday-4-16.php It sends you the code via email and then tells you to enter the code, and it upgrades you to a 3-month Pro user. Moshe, just go to this link: http://fliphtml5.com/special-offer/3-months-platinum-plan-giveaway-giveawayoftheday-4-16.php . enter the email to get the code and go to http://fliphtml5.com/gift-card-exchange.php to activate your account. I did succeed. Thought of giving it a try but as I will not be needing it until the end of the year and wondered how expensive it is to purchase. This version is $25 per month and it looks like the free version cannot save the output to your local hard drive. More and more developers seem to think PC users have more money than you can shake a stick at with their ridiculous pricing. So I'll give it a miss. Thought of giving it a try but as I will not be needing it until the end of the year and wondered how expensive it is to purchase. 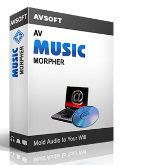 This version is $25 <strong> per month</strong> and it looks like the free version cannot save the output to your local hard drive. More and more developers seem to think PC users have more money than you can shake a stick at with their ridiculous pricing. So I'll give it a miss. So, if I understand today's GOTD "offer" correctly, and after consulting the table on this page: http://fliphtml5.com/fliphtml5-pricing.php, we'd be entitled to the benefits listed in the "Platinum" column for a duration of three months, correct? After three months, we would revert to the "Free" service, at which point we will have the privilege of producing up to 5 Flipbooks per day, which will have embedded FlipHTML5 watermark stamps. These books cannot be saved to the computer, but only uploaded to the FlipHTML cloud service, and will be viewable with advertisements. Also correct? Robert Garofalo, Agreed! I used to think a One Year license was cheap of the company. Still, I'm grateful and will just make as many as I can in 3 months and save them to my desktop. Even a few pre-emptive ones I have no use for now, but may want someday. Robert Garofalo, Agreed! I used to think a One Year license was cheap of the company. Now I know better! Still, I'm grateful and will just make as many as I can in 3 months and save them to my desktop. Even a few pre-emptive ones I have no use for now, but may want someday. Noah Body, you are clever. Just making full use of FlipHTML5 in this three platinum months. I got it. Does this mean that the FlipHTML5 Platinum doesn't work anymore after 3 months? After the 3 months expiry of the Platinum, what plan (Pro,Gold, etc.) does it revert to? Andy, i think it is the free version. Andy, no, it said you could still use FlipHTML5 as the free users. Looking forward to trying what looks like an interesting program. But the download is very, very slow at the moment. I have 60 Mb/s broadband and it is taking forever to download. hippo42@gmail.com, it may depends. Maybe you can get the code first and then download the software.